The goal is a heart that completely match the immunological, cellular, biochemical, and anatomical properties of the patient. @6gain No, I gave up on the day of the original post and hadn't had the chance to look into it since. I'm hoping for future versions. Pixelfed is pretty new after all. Just opened a Pixelfeed account. Now I need an Android app for it. 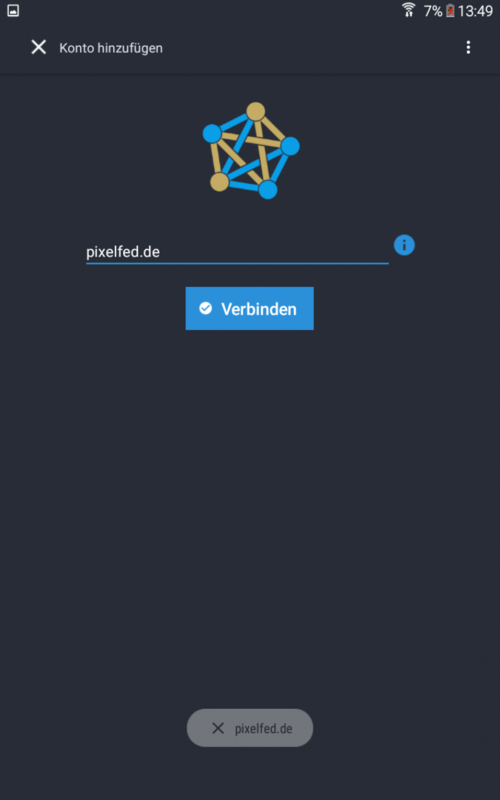 I read that #Fedilab canhandle pixelfeed accounts, but it won't connect to my server. I read https://fedilab.app/wiki/user-guide/login/ but can't see what I'm doing wrong. Home > User guide > Login Fedilab Login When you open Fedilab for the first time or when you are adding a new account to Fedilab, you have to follow this procedure. Here’s how you can log in to your Fediverse account in Fedilab 1. Enter your instance Instance In here you have to enter the host name of your instance. For an example if you created your account on https://mastodon. In wie vielen Hochschulen es wohl Gruppen gibt, die sich für Freie Software einsetzen? Kennt jemand welche? 😱 It's not even 21:30h and it's dark outside!